Delivering high standards to global markets. The Company was formed in 1980 as Refnol Oil Refineries Pvt. Ltd. promoted by the Khatau Group of Bombay, one of India’s oldest and reputed business groups with their origins going back over 100 years. 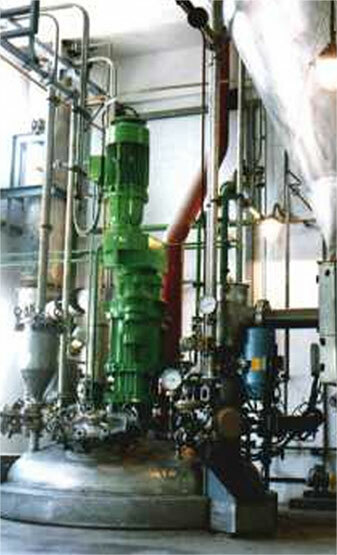 In 1986 the oil re-refining activity was discontinued. Refnol diversified into manufacture of Textile Sizing Chemicals with the help of a technical collaboration agreement with Seydel International Inc., Atlanta, USA.Renamed – Refnol Resins & Chemicals Limited to reflect changed business profile. Manufacture of Unsaturated & Saturated Polyester Resins for the FRP and Coatings Industry started in 1988. As a related activity to the Textile Sizing Chemical business, Refnol took up the manufacture of a range of Textile Enzyme formulations and Auxiliaries for the garment wet processing industry in 1994. Texcare Middle East LLC – a subsidiary was set up in Sharjah, U.A.E. in 1994 to manufacture and market Garment Wet Processing Chemicals and subsequently in 2004, the range of Laundry & Cleaning Chemicals. Caters to markets in G.C.C. Countries and North & West Africa. In 2004, the product range was expanded to include the full range of Textile Auxiliaries for wet processing of fabrics. The same year 2004, also saw the beginning of the Laundry & Cleaning Products business with the manufacture of a range of premium formulations for the commercial laundry and institutional cleaning markets. Speciality in sizing and polymers.Water soluble polyesters for sizing.Manufacturing & marketing a comprehensive range of performance chemicals for the sizing of warp yarns. Marketed successfully in India and overseas. Unsaturated Polyester Resins for all kinds of composite applications. Chemical Equipments, Transportation & Marine, Construction & Architecture. India’s first exporter of such resins delivering successfully to major customers in the Middle East, Europe & South Asia. A full range of Garment wet processing chemicals together with Textile Enzyme formulations. Catering to the markets in India and overseas. A contemporary range of Laundry & Cleaning and building maintenance chemicals primarily aimed at institutional & industrial users. A focused range of Chemicals for the Textile & fabric manufacturing process. Pre-treatment, dyeing & printing, finishing & special applications. For industry in India & overseas. The five divisions of Refnol deliver quality products to a large number of customers in the textile, garment, composites and coating industries. A strong focus on customer satisfaction and responsiveness to dynamic conditions in different international markets drive the company forward at all times.